The main exhibits are ROS Platform robot SCIURUS17, and Raspberry Pi mouse. 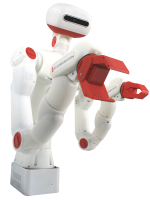 SCIURUS17 is a robot that is equipped with a 3-D distance camera in the head and can control the both arms by information such as position, speed, and current (torque). SCIURUS17 was developed as a platform for R&D. 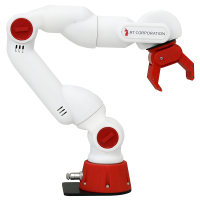 You will see a demonstration of these robots on the day.